No Pets Archives | King Rentals, Inc.King Rentals, Inc. Enjoy unit A103 located at the very sought after complex, Windrush. 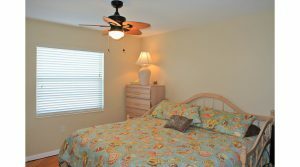 This 2 bedroom 2 bathroom property is located in Cocoa Beach, Florida. With a fully equipped kitchen, internet access, washer and dryer in-unit, and amenities included but not limited to a heated community pool and hot-tub, this unit has all the necessities you need to feel right at home. Unit A103 offers a large living and dining area perfect for any beach getaway. Feel the ocean breeze right from the private screened-in patio, which is just steps away from Windrush’s private beach access. The master bedroom has a queen-sized bed, and the guest bedroom has a queen-sized bed. Conveniently located near Downtown Cocoa Beach, area amenities and attractions, Port Canaveral, and just a short drive from Cocoa Village, Patrick AFB, Kennedy Space Center, Melbourne, and Orlando areas. Enjoy fresh ocean air from any room in this direct 2 bedroom 2 bathroom oceanfront unit. 2100 Towers is a very sought after complex, with amenities ranging from a crystal-blue heated pool, to private tennis courts for your leisure. Unit 602 includes a fully equipped kitchen, laundry and dryer in-unit, walk-in closets, and dining area for the whole family. Prepare breakfast while observing an array of sunrise colors right from the comfort of your unit, with sliding glass doors in each bedroom as well as the living room. This unit includes a living/dining combo, spacious modern kitchen area, split plan bedrooms, private master bath with a stall shower, updated sink vanities, accent lighting, and large plasma TV’s for your enjoyment. 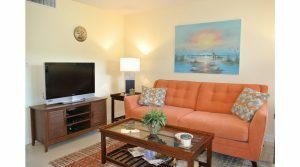 In a convenient Cape Canaveral location, this comfortable one bedroom, one bathroom condo is perfect for months of relaxation. Enjoy a refreshing dip in the community pool or a sunny day at the beach just steps away. This location has access to a courtyard and laundry on-site. Near the port and local amenities and a short drive to Orlando. 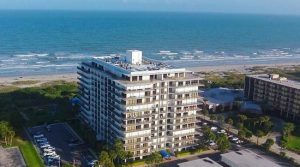 This bright and modern ground floor unit is centrally located in Cocoa Beach near the Cocoa Beach Pier, area dining, shopping, and services. Windward 16 is just a short walk to our beautiful beaches in a quiet, residential setting. The condo is beautifully furnished, has a fully equipped kitchen, and more. The Windward complex offers a sparkling community pool and on-site laundry facilities.